When buying a Nintendo Wii you may or may not take into consideration that you get Wii Sports along with it for free, but needless to say, every game deserves to be reviewed. 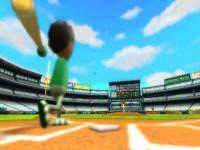 The Nintendo Wii launched less than a week ago, and we've found Wii Sports to be a healthy break from the lengthy Zelda: Twilight Princess. Was it a smart move to release it with the console though, or could Nintendo have made more money by selling it separately? Time will tell, but the fact that the Wii is a sell-out all around the world is a fairly good indication of good marketing, so let's explore the five different sports available to play as soon as you purchase a Wii. 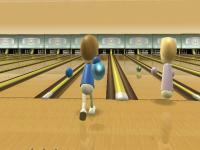 Wii Sports comes with seven different options. 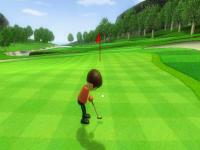 Five of the options are sport games: Tennis, Baseball, Bowling, Golf and Boxing. The other two are Training, and Wii Fitness. The fitness test can only be taken once a day by each Mii, and rates you on a fitness age from 20 (best) to 80 (worst). Of course, you must learn the sports properly if you want a better Wii Fitness score, but the results are fairly accurate and improve day by day as your skills do. The fitness tests involve Tennis, Bowling and Baseball. They test your balance, speed and stamina and then give an overall graph with your Wii Fitness Age as you hit home runs, bowl over spares, and hit tennis balls in selected areas of the court. The training is a fairly ordinary mode that allows you to learn how to play each of the sport games without your rating on the line. Yes, there's a rating for each game with 1000 being professional. Each Mii starts on zero, and you work your way up a graph as you complete each sporting event successfully. The rating is a good reflection of how good you are at each game, especially as you get closer to Professional. 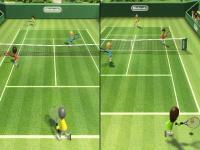 The opponents get harder, and you have to learn the different skills of each game to become a true Wii Sports Master. Let's take a look at each of the games. Victorians - Get your Wii Racquets Ready!